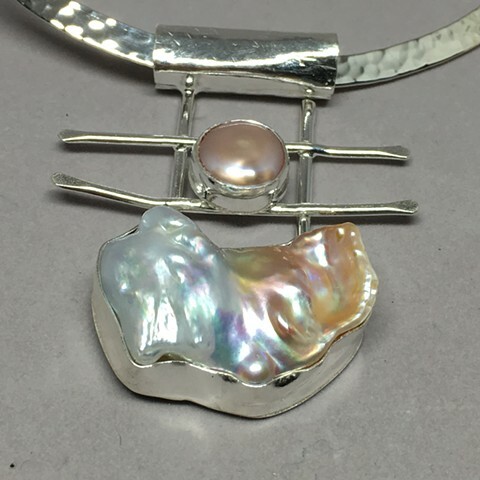 Two very high quality AAAA pearls set in handcrafted fine silver bezels on a sterling collar. See how the light just reflects off of these pearls. Pearls are a classic and never go out of style.